How to Make Chicken Bone Broth – a delicious and nutritious broth that warms the soul! Chicken Bone Broth. It’s like a big Mom hug. Warm, soothing and just feeds the soul. Whole30 Creamy Clam Chowder – a delicious and creamy winter soup that is Whole30 and Dairy-Free! This is going to be your next favorite soup…. 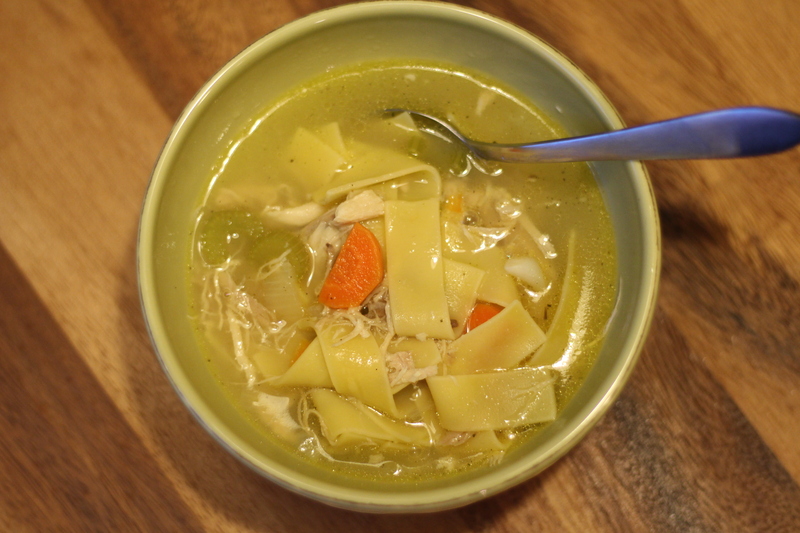 Chicken noodle soup reminds me of a “Mom hug”. That hug you get from your mom, that only she can give, and that somehow conveys to you that everything is going to be okay. Both warm the soul and comfort you like nothing else. As the days get colder, shorter and darker here in Minnesota, I thought everyone could make some comfort food to let us all know everything will be okay.